Boulders, Simon's Town, Cape Peninsula, South Africa; mid-intertidal. 22 Sep 2005. Michael Guiry. © Michael Guiry (mike.guiry@nuigalway.ie). Boulders, Simon's Town, Cape Peninsula, South Africa; mid-intertidal clumps. 22 Sep 2005. Michael Guiry. © Michael Guiry (mike.guiry@nuigalway.ie). South Africa; harvester. Robert Anderson. © Robert Anderson (Robert.Anderson@uct.ac.za). South Africa; harvesting. Robert Anderson. © Robert Anderson (Robert.Anderson@uct.ac.za). The type species (holotype) of the genus Gelidium is Gelidium corneum (Hudson) J.V.Lamouroux. 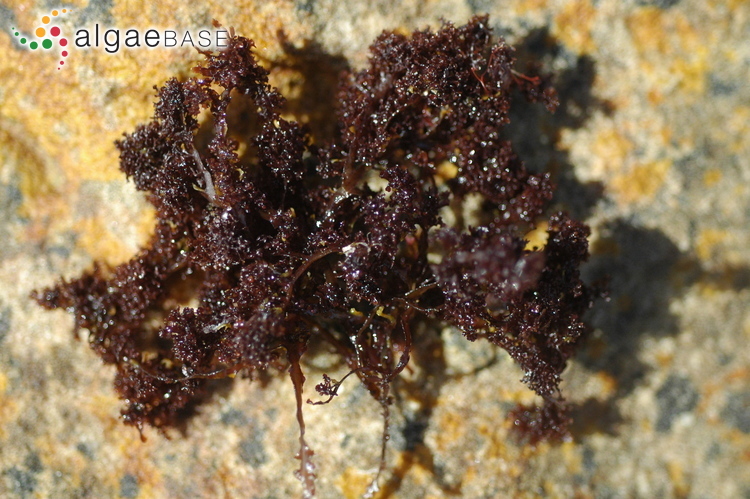 Type locality: False Bay, Cape Province, South Africa (Silva, Basson & Moe 1996: 142). Tronchin, E.M., Freshwater, D.W., Bolton, J.J. & Anderson, R.J. (2002). 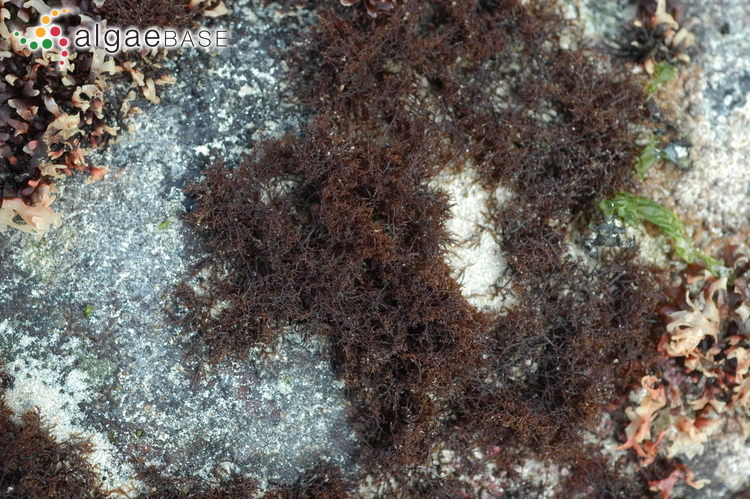 A reassessment and reclassification of species in the genera Onikusa Akatsuka and Suhria J. Agardh ex Endlicher (Gelidiales, Rhodophyta) based on molecular and morphological data. Botanica Marina 45: 548-558. Rodríguez, D. & Santelices, B. (1988). Separation of Gelidium and Pterocladia on vegetative characters. 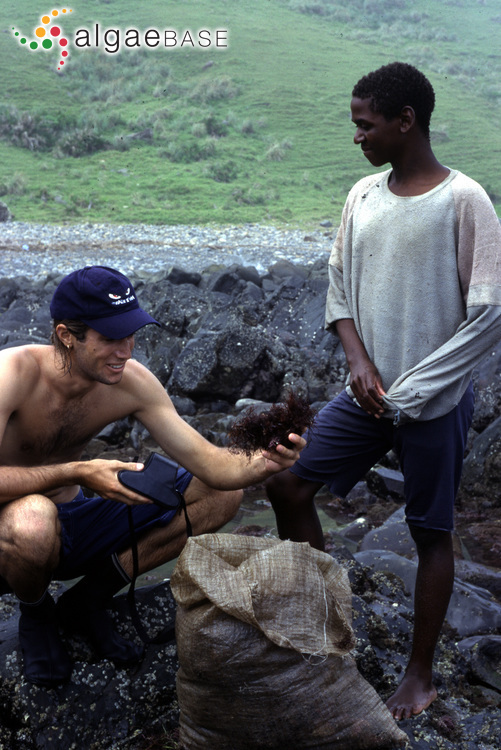 In: Taxonomy of Economic Seaweeds With reference to some Pacific and Caribbean Species Vol. II. (Abbott, I.A. Eds), pp. 115-125. La Jolla: Sea Grant College Program, University of California. Santelices, B. (1999). Patterns of carposporangial production among species of Gelidium (Gelidiales, Rhodophyta). 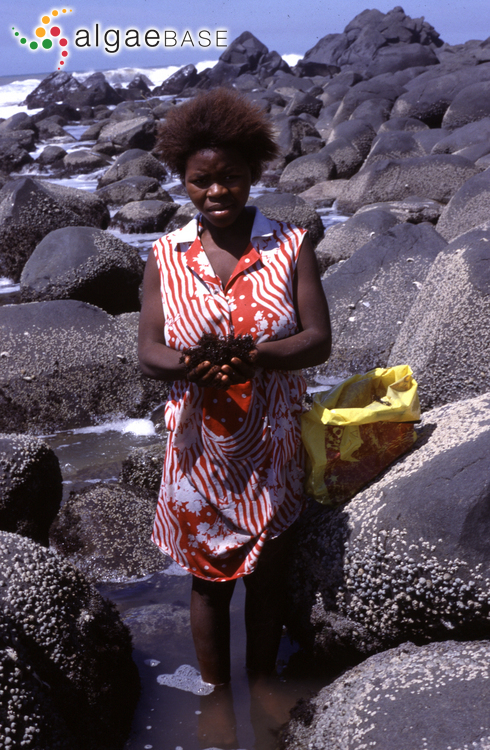 In: Taxonomy of Economic Seaweeds with reference to some Pacific species Vol. VII. (Abbott, I.A. Eds) Vol.7, pp. 55-69. La Jolla, California: California Sea Grant College System. Accesses: This record has been accessed by users 13663 times since it was created. Aken, M.E., Griffin, N.J. & Robertson, B.L. (1993). 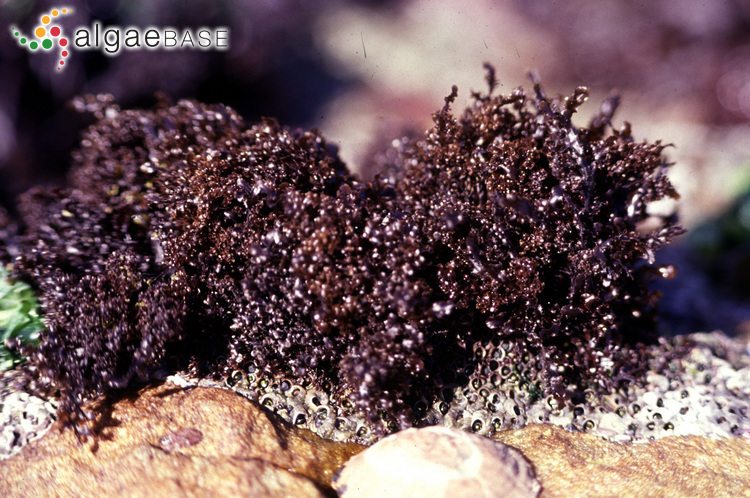 Cultivation of the agarophyte Gelidium pristoides in Algoa Bay, South Africa. Hydrobiologia 268: 169-178, 8 figs. Anderson, R.J., Simons, R.H., Jarman, N.G. & Levitt, G.J. (1991). Gelidium pristoides in South Africa. Hydrobiologia 221: 55-66, 5 figs, 2 tables. Carter, A.R. & Anderson, R.J. (1985). 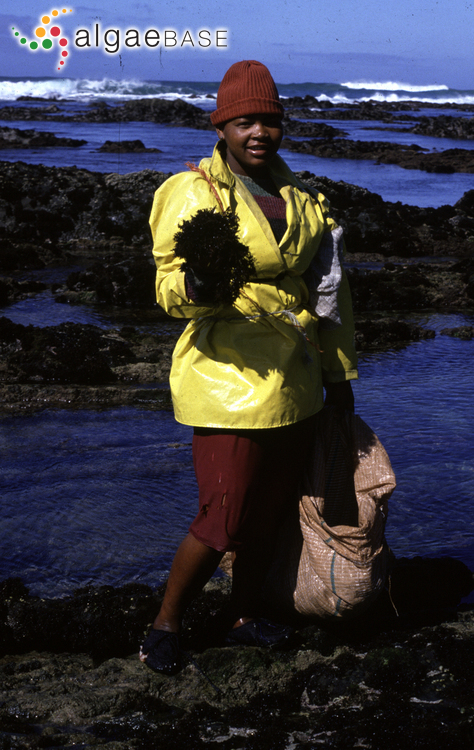 Regrowth after experimental harvesting of the agarophyte Gelidium pristoides (Gelidiales: Rhodophyta) in the eastern Cape Province. South African Journal of Marine Science 3: 111-118. Carter, A.R. & Anderson, R.J. (1986). 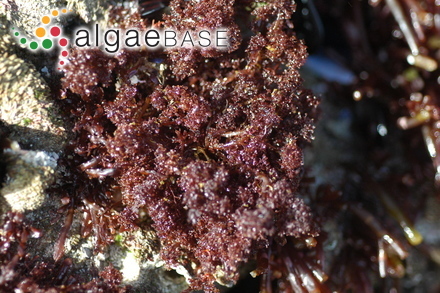 Seasonal growth and agar contents in Gelidium pristoides (Gelidiales, Rhodophyta) from Port Alfred , South Africa. Botanica Marina 29: 117-123. Carter, A.R. & Simons, R.H. (1987). 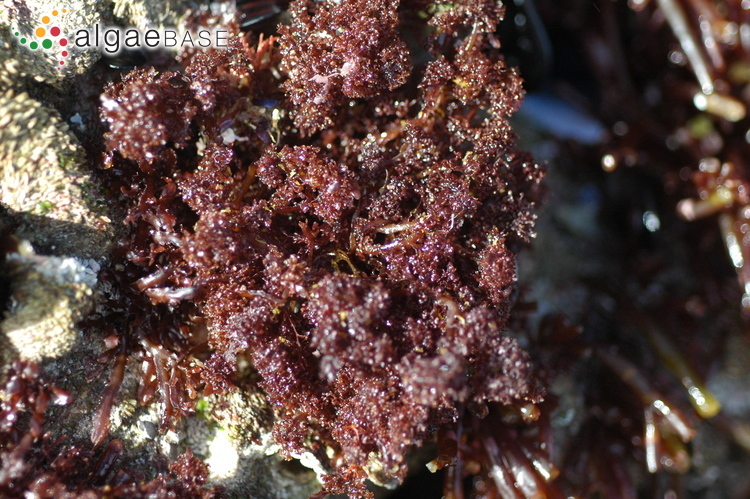 Regrowth and production capacity of Gelidium pristoides (Gelidiales, Rhodophyta) under various harvesting regimes at Port Alfred, South Africa. Botanica Marina 30: 227-231. Carter, A.R. (1985). 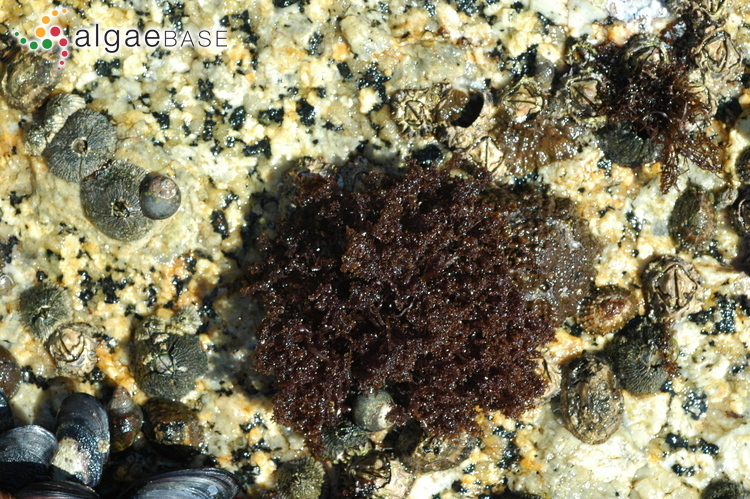 Reproductive morphology and phenology, and culture studies of Gelidium pristoides (Rhodophyta) from Port Alfred in South Africa. Botanica Marina 28: 303-311, 17 figs, 3 tables. Carter, A.R. (1993). Chromosome observations relating to bispore production in Gelidium pristoides (Gelidiales, Rhodophyta). Botanica Marina 36: 253-256, 5 figs. Robertson, B.L. (1988). Management of Gelidium pristoides resources. 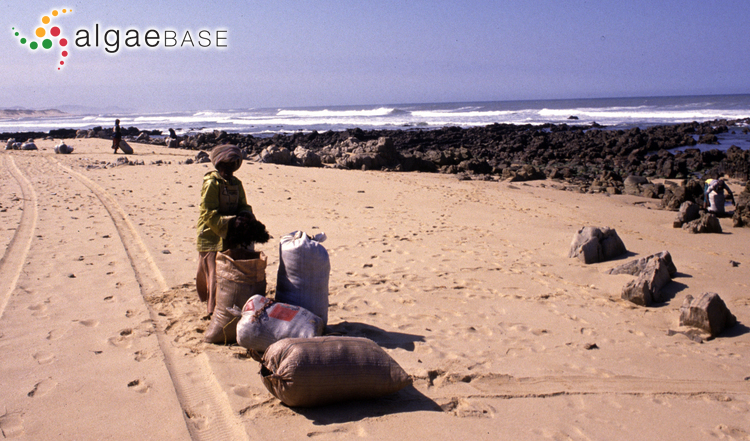 In: Research needs in the Tanskei and Ciskei coastal zone. (Branch, G.M. & Shackelton, L.Y. Eds) Vol.155, pp. 16-18. South African National Scientific Programmes.